As you are well aware by now, I love everything about costumes and I certainly don’t believe in wearing them just for Halloween either (exhibit A). But, social norms say that Halloween is the only appropriate time of the year to really go at it so we are going nuts this year. 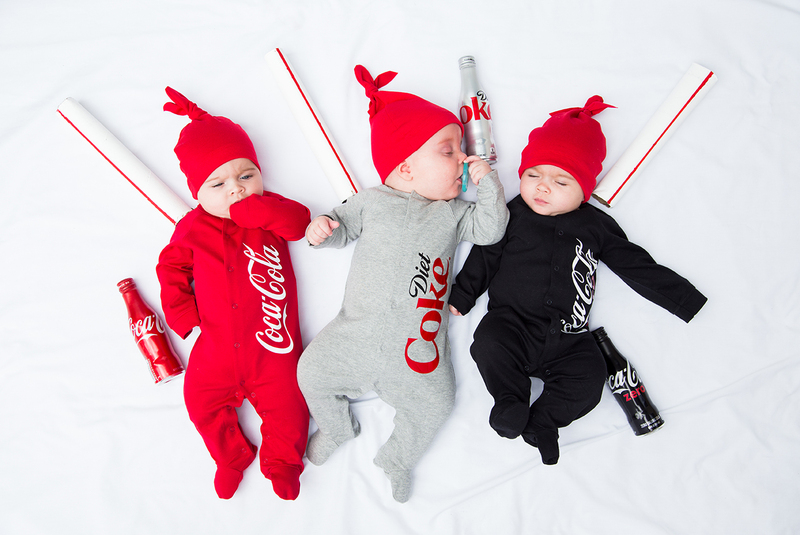 We teamed up with Ali Hynek who gave birth 6 months ago to the most beautiful and cuddle-worthy triplets of all time, Penelope, Ethan, and Alejandra (Sweet Pea as they are affectionately known on her Instagram feed). 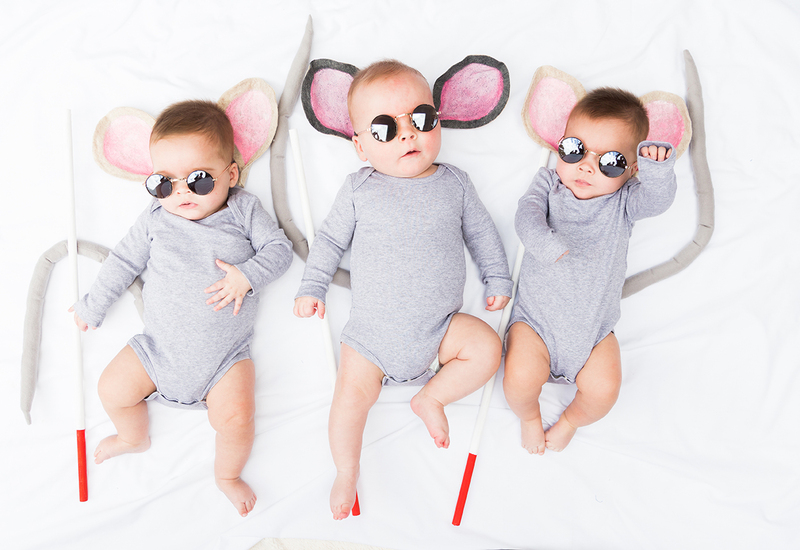 We spent two glorious days shooting these sweet peas and I couldn’t have been more in heaven (give me all the cuddles!!!!!). 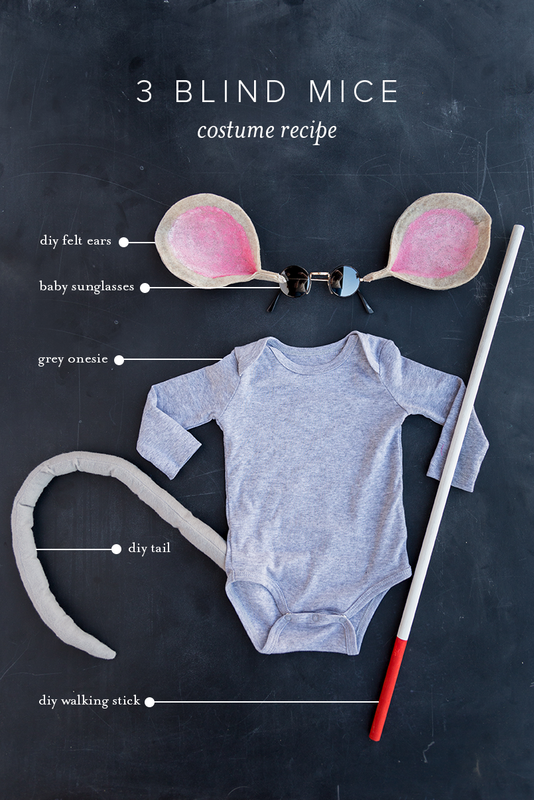 We’ve got three batches of costumes starting with this first one: quick and easy costumes for you baby. 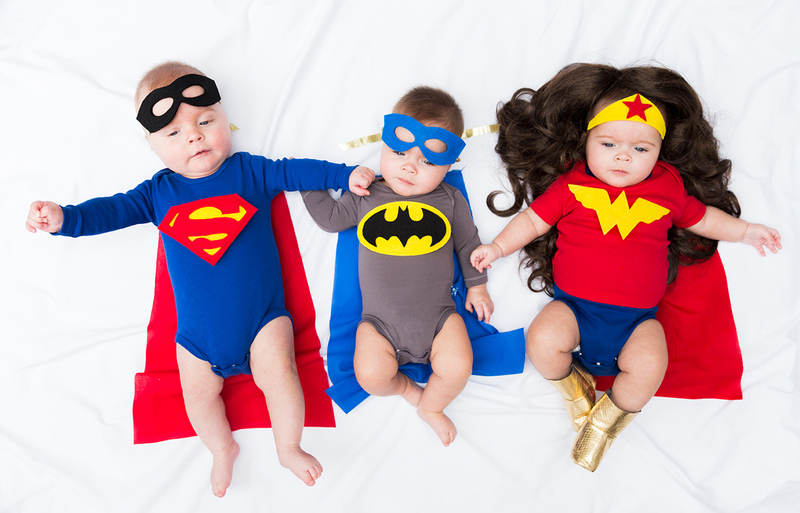 And check out 3 flower costumes for baby and 3 celebrity costumes ideas here. 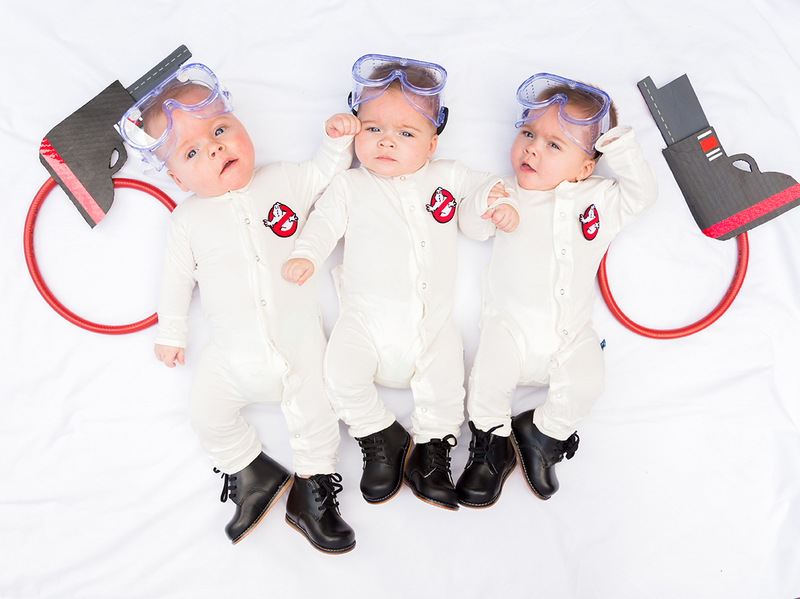 Each of these three costumes is based off a basic infant onesie pajama and should less than an hour to make. We love the easy ones too! Glue the other piece of felt to cover the wire. Wrap the wire around a headband. Cover the headband by wrapping ribbon around it. Paint the bottom 5″ red.